One of the great things about international kendo events is that you get to meet people face-to face who you have only encountered on social media. The refereeing job in Tokyo kept me pretty much focused on the shiai-jo and other than meeting referees and officials in the hotel, the opportunity to socialise was limited. That is until the sayonara party! Walking around the party room of the Grand Palace hotel was a tour of who’s who in international kendo. Kendo seems to have a very mobile population and I was particularly pleased to meet a number of kenshi from Japan, New Zealand, Thailand and Ecuador who had spent time with us in Mumeishi when they were studying or working in London. It was also a chance to chat to lots of old friends who I only see at international events and to link-up with many people who until now had just been signatures on Facebook posts. I imagine that devotees of other sports and hobbies also have common interests that give them lots to talk about when they meet; this is certainly the case with kendo. Whether you view kendo as a sport or shugyo, the challenges we face and the amount of effort that is needed to become proficient is the same across the globe. I notice slight differences in the kendo of different countries, reflecting national characteristics, but overall kendo is the same on all 7 continents (maybe 6 as I am not sure if we have kendo in Antarctica). 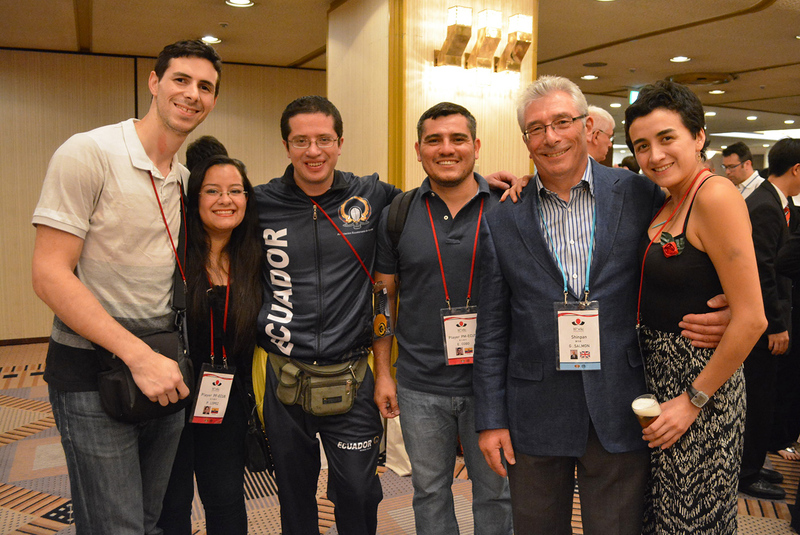 Perhaps it is due to the generosity of FIK in sending delegations around the World, or perhaps to the hard work of kenshi who have made the effort to travel and study kendo in Japan or Korea before taking what they have learned home to share with their peers. Though not the ideal way to learn, social media has also played a part in ensuring that we have access to written instruction and videos of some of the best kendo practitioners to follow. However we get there, it shows when people are putting the effort into their keiko. Countries such as Mongolia which until this year I did not realise were involved in kendo, made a very respectable showing in the 16WKC and the list of dojo around the world continues to grow. Certainly occasions such as the WKC work on two levels, as an opportunity to test our kendo amongst the world’s best and to meet and make friends with like-minded people from around the globe in the spirit of ko-ken-chi-ai. I have posted before about the pleasures of incorporating kendo into one’s business or holiday travel. As a subscriber to Linkedin’s “Kendo Business Professionals” group, I left a comment that I would be travelling to Hungary and Japan in the course of this month. These trips are specifically for Kendo. ( I was going to Hungary as a referee for the European Championship and Japan to take part in the Kyoto Taikai) . I thought however it might be a way to catch-up with on-line friends who might be in the same place at the same time. 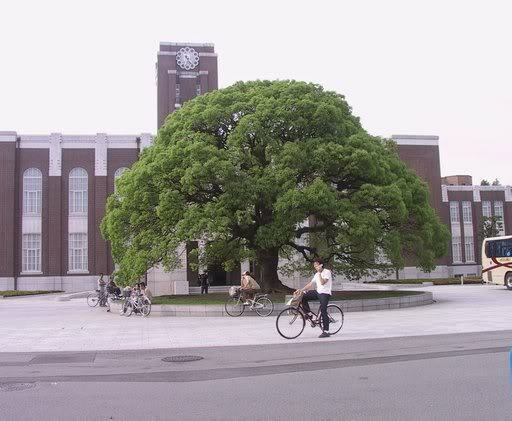 Amongst the replies, I received an invitation from a gentleman called Takeshi Takamori who suggested that I attend the Kyoto University practice. This was my first encounter with Takeshi-san, but I have a number of Kyodai O.B friends and knew about the practice. In thanking him, it transpired that we had a number of mutual friends in Japan. At the same time, Takeshi-san was travelling to Europe and asked for advice on finding a Kendojo in Frankfurt. I was able to introduce him to my friend Uwe Kumpf who runs a dojo in the city. Takeshi-san reported back that he trained twice there and had a great time. Then the Volcano in Iceland erupted and Europe came to a stop. My next message from Takeshi-san was that he planned to extend his business trip to Denmark and did I have any kendo contacts in Copenhagen? This completely stumped me, as Denmark is not one of the more active European kendo centres. I do know however that Copenhagen is very close to Malmo in Sweden, which has a good kendo club and introduced Takeshi to Patrick Bacquin a French ex-pat who trains there. I got this message back from Takeshi-san. It’s around 2am in Copenhagen. I just came back from Malmo for Kendo practice there. They are really nice people and welcomed me much. I borrowed everything except shinai and had a very good practice and dinner afterward. Patrick-san kindly came to the station and took me to town tour for two hours and took me to their dojo. I could feel how much they love and respect Kendo. Thank you very much for your advice. I never imagined to visit Sweden and practice kendo with people there. Patrick said he may come to Japan in November for 6th dan shinsa. It seems flights are getting back to normal and I hope I can get the airplane on Saturday without any trouble. Hope to see you sometime soon. This really does seem to be a great example of kendo’s ko-ken-chi-ai. Hopefully the ash and the flight backlog will clear by Wednesday and I can continue my own musha-shugyo. Having enjoyed the Christmas holidays, I was looking forward to my New Year kendo jump-start. I managed one practice before the snowy weather, or more accurately Britain’s inability to cope with snowy weather scuppered my plans. Today was scheduled for our national kangeiko and kyu grade taikai, which we had to cancel because of transport difficulties, so I have been consoling myself by scanning the internet for cheap flights to the international kendo events that I am scheduled to attend this year. So far, I have bought tickets for the referee’s seminar in Brussels and the Irish Open Taikai in February. I have accepted an invitation to teach at a seminar in Norway in July/August and I am waiting to see if I am selected to referee at the European Championships in Hungary. I am also working on the embryonic plan to take part in this year’s Kyoto Taikai. These plus the round of seminars and taikai planned throughout the year in the UK should keep my weekends fairly busy. As much as I enjoy my normal practice, it is a real pleasure to train in different places with different people, particularly when you cross borders and notice subtle changes in the approach to keiko. As I mentioned in earlier posts about ko-ken-chi-ai, kendo also gives you an instant social connection to other practitioners, so when I travel to compete, or referee, or teach, or learn; it always feels as if I am going to spend time with friends, either old or new. So the longer term kendo prospects are starting to cheer me up, and I am hoping that there is sufficient grit on the roads to get to Mumeishi tomorrow. I went with my wife to the Watchett seminar and grading 2 weeks ago and and on the drive back we chatted about our separate experiences over the weekend. I spent my time in the dojo and she spent hers sightseeing and shopping with the partner of one of the other instructors. She made the interesting point that in the day and a half she had spent with my kendo friend’s spouse, she knew more about their family life than I had discovered in thirty years. She was up-to-date on their current economic situation, kid’s education progress and their retirement plans. Whereas I, knew nothing about their family life. I of course know that he has strong seme, tends to be a little too stiff in keiko and if I am in trouble, would do his best to help, as I hope I would if the situation were reversed. Oh yes, and I know what he drinks. Jose Vargas of Kendo Equador sent me a questionnaire covering a number of aspects of kendo philosophy. Being that time of year and feeling reflective, I decided to post my answer on “ko ken chi ai”. 4. – What do you think about: Ko Ken Chi Ai (交剣知愛)? “A) Difficult to translate precisely, but an approximation is “learning to love each other through the application of the sword”. I believe in this on two levels. The first is that it requires two people to practice keiko or kata or take part in shiai. For any of these activities to be of value, you have to try to read our opponent’s intention and timing and therefore to try meet them “mind to mind”. 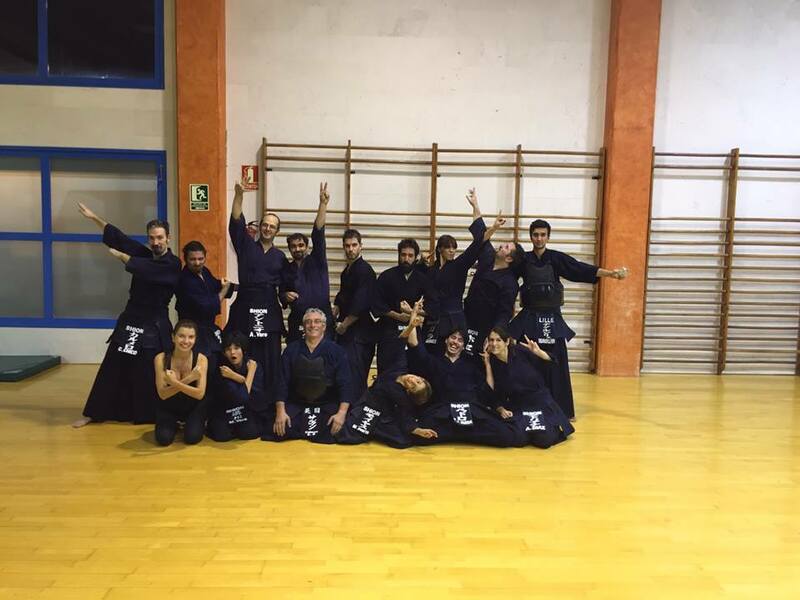 Outside the dojo, Kendo gives us a common interest, allowing us to become friends with people from a wide range of backgrounds and social groups whom we might not get to know in other circumstances. One example of this is the experience I had when I lived in Japan. Many foreigners, who are working there, find it difficult to integrate into Japanese society, whereas kendo opened numerous doors for me and created relationships that have lasted for most of my adult life. This is also true of my experiences with Kendo in other parts of the world. I have traveled extensively for kendo, and for work.On business trips, whenever I could, I have taken my bogu with me and called the local Kendo renmei to see if I could attend a practice. In nearly every case, this has not just given me the opportunity to train with different people, it has led to meals and drinks out with new friends. If you compare this to the average business trip, where the working day ends with lonely meal in a hotel, kendo has made my life much richer. Even writing this blog over the past few months has led me into some interesting conversations, so I look forward to continuing to make new friends on and offline in 2009.